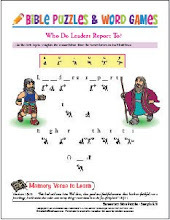 How do you recruit preschool leaders for your Bible club and Sunday school programs? Prayerfully and with a lot of help! This is a big job, so meet with your Christian education director, children’s pastor, Bible club director, or Sunday school superintendent. Begin with prayer, asking the Lord to direct you to the people whom He wants to teach your precious preschoolers. Ask Him to prepare the hearts of these people to be receptive to becoming leaders or helpers in your preschooler program. Make a list of qualified people who might be interested, and make an appointment to visit them in their homes or at church. Explain your preschool program and the responsibilities of a preschooler leader or helper. Ask him or her to pray about the decision, and leave some preschool Bible club materials, a Getting Started Manual, or a Leader's Guide for review. It is good to involve a variety of people in working with your preschooler program: fathers, grandmothers, grandfathers, college students, or adults with older children may all enjoy working with young kids. Make a concerted effort to get men involved in the program—particularly fathers of preschoolers. They will love it, and so will the kids. Having male role models often helps to reduce discipline problems, too. Organize a list of “substitute” teachers from which to draw in case a regular leader or helper is unable to attend at any time during the year. Be sure to fill each vacancy as soon as possible. There are most likely people in your church who aren’t available on a weekly basis or don’t want to be tied to a schedule, but do like to help when presented with a special need. These are the people who can help you by preparing craft materials, cutting out visuals, updating bulletin boards, decorating the Bible club rooms, praying for leaders and students, or making or providing snacks. Throughout the process, ask God for direction and guidance. Pray with each person you invite to be part of your Bible club team. Give each one specific guidance and instruction so he or she understands exactly what the responsibilities will be. Then show your appreciation for their help, just as you show your appreciation to your regular leaders and helpers. Thank God for bringing each person to your Bible club program. Spend time in prayer together before beginning each new quarter of your Bible clubs. Thank God for the blessings He has provided and ask for His guidance and wisdom to overcome any challenges. The leaders are the most important part of your preschool program-not because they do everything themselves, but because they are the only means through which children can be truly involved and discipled. The most successful preschool group is usually the one where the adult leaders do less so the children can do more. This is the toughest kind of leadership, but it's the kind that produces disciples and leaders in your preschoolers.